Experience Requirements: Minimum 3 years experience in estate department of Government organizations / reputed construction companies. Indian Institute of Science Education and Research, Pune invites application form for the various posts of Office Assistant. 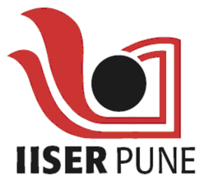 The interested job searchers can send their filled application form against the Indian Institute of Science Education and Research, Pune vacancy notification on or before the last date which is November 20, 2013. Qualification :degree/">Bachelor degree or equivalent degree with minimum 55% marks/equivalent grade. Should have computer operation knowledge. Candidate with short hand expertise may be preferred. Interested applicants may apply online in the prescribed application format. Click on the link “Apply Online” available below this advertisement link and apply for the post. Please keep your personal details, qualification details, details of references, experience details, other relevant details, soft copy of the passport size photograph with you and printer attached to your desk top before starting online application. In case name of the degree that you possess is not listed in the drop down options, please select “other” and write name of the degree and specialization in the field named as “specialization” and other desired details in the same field. After you complete the application, click on the “Preview” button. Please see the print preview from browser option and adjust page margins if printable area is not covered. Go to the end of the preview page, click in the box provided for declaration. Before submitting the application click on the “Print” button to take printout of the filled application. Please keep one copy for your record. Once you submit the application, you will not be able to retrieve the application for printing / editing / reference. Applicants who have submitted “Online application” only will be considered for selection process.